The world is a small place and gun owners like to travel as much as anyone else. Traversing the roadways of America does, however, create some complications when you choose to travel with a firearm. In this article, I'm going to briefly discuss concepts of Reciprocity but primarily focus on article 926A of the Firearm Owner Protection Act and its application in transporting firearms across different state lines. Most gun owners with concealed carry permits understand the general idea of Reciprocity. Each state independently decides what other state permits they will choose to “honor” in their own state. Some states honor all permits. Some states honor no permits. Some states pick and choose based on their own criteria. When you hit the roadways the first step is checking the reciprocity map that reflects what states honor your concealed carry permit(s). Our map builder is (I'm a little bias) the best tool on the internet. You can input any combination of resident and non-resident permits and it will output a green and red map. The Green states honor your permit and thus will allow you to do anything that they would allow their own residents with their state permit to do. OPTION 1: Research and become compliant with each individual state's firearm laws as you pass through them. It is a challenge to be sure. You can look online to find the statutes and attempt to interpret them. Consult legal counsel if necessary. You can contact a state police or state patrol and ask them for information. This option not only requires a decent amount of work but it can leave you without 100% certainty that you are fully clear on and in compliance with the state's laws. Tools such as our mobile app and The Travelers Guide law book contain good state legal summaries that can help with that research required. OPTION 2: Meet the requirements outlined in Article 926A of the Firearm Owner Protection Act, which is a federal law that protects your ability to travel across state lines with a firearm which is our main point of discussion. You are not otherwise prohibited from transporting, shipping, or receiving a firearm. Those who are prohibited probably already know it. So if you don't think this applies to you and you haven't been convicted of a felony … you are probably good! You and transporting the firearm for a “Lawful Purpose.” If you are on your way to a different state to commit a crime then this provision can't apply to you. The firearm is unloaded. That means there is no ammunition in the firearm. Both the firearm and any ammunition are NOT readily accessible or directly accessible from the passenger compartment of the transporting vehicle. This can be done by completely removing the firearm from the passenger compartment by placing them in the trunk or some other separate compartment. 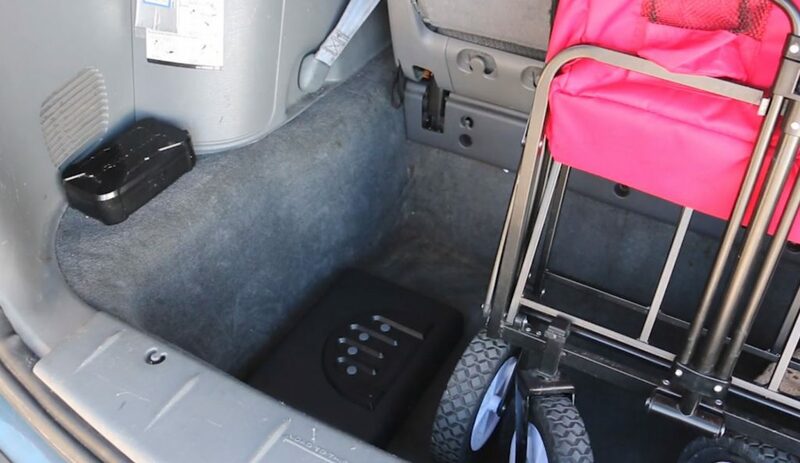 This can also be done by placing the firearm such within the passenger compartment that it could not be readily accessed by any of the passengers. In the case that your vehicle doesn't have a compartment separate from the driver's compartment the firearm or ammunition shall be contained in a locked container OTHER THAN the glove compartment or console. If you are traveling through states that otherwise don't honor your permit(s) then you can either attempt to research and follow that state's law relative to the transporting and vehicle possession of a firearm or you can just follow the requirements of 926A which you know protect you anywhere. **A Warning. While the Firearm Owner Protection Act does exist and does provide you with these protections, that doesn't mean that every local officer in every local state is aware of and fully clear on article 926A. Officers are going to act based on the laws they are aware of and if you end up in a legal incident you may have to fight your way up the court system to be able to use 926A in your defense. If that happens you might be grateful to have some form of self-defense insurance. What other thoughts, comments or questions do you have about the interstate travel of a firearm? Let us know in the comments below. I often wondered if I were traveling from Michigan to Missouri bypassing Chicago, if I could transport legally a handgun. Stay on the freeway, don’t stop for nothing but gas, and get far away from Chicago as fast as possible. Well Illinois does allow anyone with a CCW they do not recognize to carry concealed in their vehicle. You must leave it in your vehicle when you get out of it. What do they consider to be a container? Does a range bag or duffle bag qualify if they are locked? Do the ammo and firearm have to be separated, or can they be in the same container? I normally follow FTA rules for flying when I am driving interstate road trips. It doesn’t specify any requirements for the container beyond it not being a glove compartment or console. That said I think the law infers that the container be secure and I don’t think a soft cased anything qualifies. A little Jacob opinion on that one. Does a locked, secured gun vault that is still readily accessible (within reach) from the passenger or drivers compartment (such as under the seat) qualify? If it is secured to the vehicle and locked, it’s only “readily accessible” for those who know the combination, but that seems like a gray area. The law doesn’t say it can’t be readily accessible only for unauthorized users. It says it can’t be readily accessible by anyone in the passenger compartment. So in my own opinion that would not count. My 2 cents…it is better to be safe than sorry. So, safely and discreetly unload inside your vehicle, secure your firearm in a locked box and seperate from the ammunition (magazines should be unloaded also even if it is detached from the handgun) then step out of your vehicle (be aware of your surroundings at all times) and safely stow both the locked box containing your firearm and the box containing your ammunition in the trunk of your vehicle. 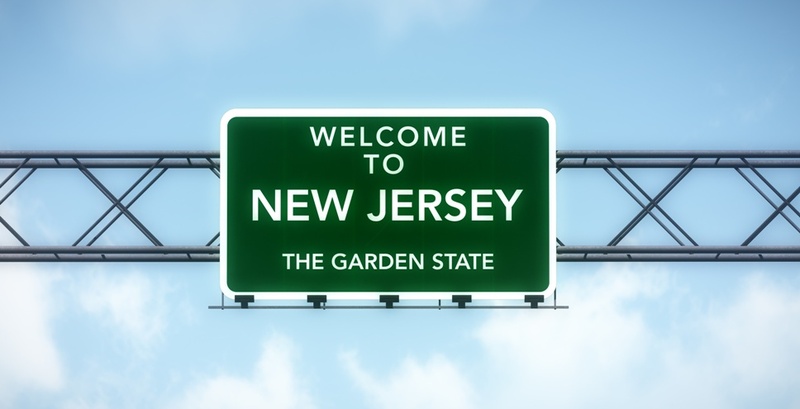 I believe this move will comply with all the laws…even that of New Jersey. We have a travel trailer and will be going cross country. If we stop overnight or stay a few days in one of these “RED” states, as long as I keep my weapons in a safe in the camper would I be on compliance? If you stop overnight or stay a few days you are arguably no longer within the guidelines of 926A and would need to be compliant with that state’s specific laws which of course vary from state to state. Great map. But what states will not honor the Law Enforcement Officers Safety Act as it relates to qualified retired LEO’s? Hey Frank, what NYC has is what the rest of the country has–called 926A. Under this federal provision you’re allowed to travel interstate with your firearm as long as you’re traveling to a destination where you can legally have it, and are traveling from a place where you can legally have it and aren’t stopping in an area that’s largely considered no-go. Also, local laws should be followed. That does not mean that NYC won’t jam you up if you drive through there and get pulled over. Unfortunately, many of the police officers don’t know federal law. So, I’ve traveled that way before on my way from Pennsylvania to Vermont and the route did not take me downtown but remained on the highway. I’ve spoken to a lawyer once about this and he recommended not stopping. His argument was that, once you stop, your travel is no longer continuous and may be viewed as illegal. Literally, just pass through. That route takes you around NYC. Then again, I’m not a lawyer and nothing I say should be construed as legal advice. Both are filled to the brim with excellent info about traveling, reciprocity, etc.